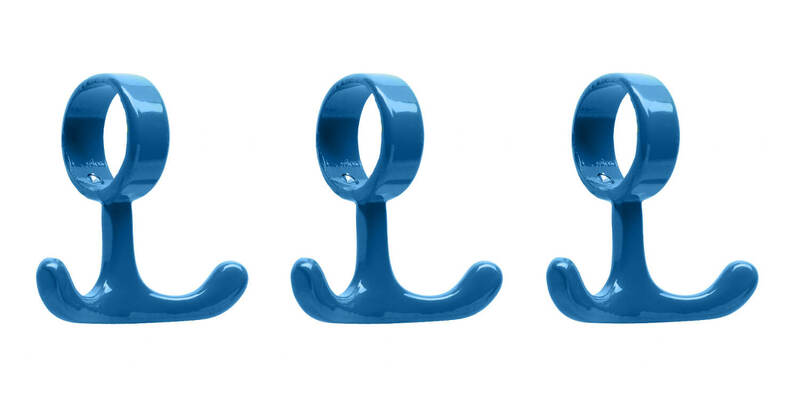 Coat Hooks for tubes - Blue - 3 pieces. Hook made out of powderlacquered aluminium. Choose between the 8 different colors and combine after your own taste. Delivered as a set of 3 pieces.